In beekeeping, as in many areas of life, I have established for myself the rule “20/80”. And when people ask me exactly how to develop experience, I answer something like this – 80% is a practice, 20% is a theory. Now there are hundreds of useful videos, lessons, articles on beekeeping, which cover almost any problem faced by both beginner and experienced beekeeper. But the resources that highlight an integrated approach are pretty rare and raise doubts of its effectiveness. Therefore, classic beekeeping books are indispensable. Moreover, they have a rating and a circulation – which cannot be tested, they are a fact confirming the success of a particular edition. And fortunately, the beekeeping is very conservative – most technologies and techniques have been used for decades, so old beekeeping books practically do not become outdated. In addition to your own reading, you can use the book as a gift to the beekeeper. Any subjects relating directly to the practice – tools, clothes – are very intimate, dare I say this word. It’s easy to choose the wrong thing. But with a book – everything is simple. Every beekeeper will find something interesting in it. Often I saw books by experienced beekeepers, which, although called “beekeeping for dummies,” but were full of bookmarks. I wish you pleasant reading! Rooftop beekeeping gives city dwellers the best of both worlds— the vibrant culture of urban life and the delicious pleasures of homegrown food. 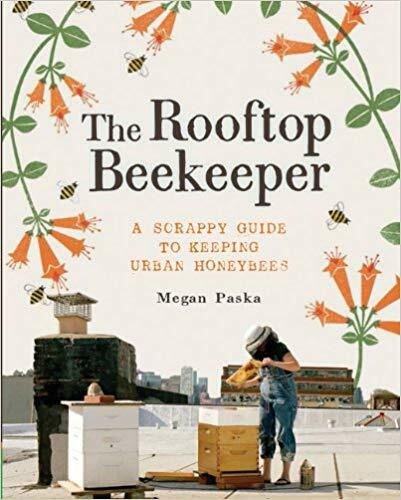 Brooklyn-based beekeeper Megan Paska is a professional apiarist to NYC restaurants, and with The Rooftop Beekeeper, she puts into your hands everything you need to know to keep bees. It turns out cities are perfect for beekeeping: rich with diverse flora for bees to pollinate and abundant in apartment buildings with sun-kissed rooftops to house hives. With a focus on minimally invasive techniques, Megan walks you through the details of getting to know your honeybees, starting your own hive, harvesting your honey, and more! Combined with her fool-proof instructions are detailed photographs for visual learning and whimsical illustrations to get you in the mood to raise bees. Twenty-six simple and easy recipes for drinks, meals, and home remedies take advantage of honey’s taste and beautifying and cleansing qualities. Crispy Chicken Salad with Egg and Honey-Mustard Vinaigrette with a side of Jalapeno and Honey Skillet Cornbread makes a satisfying meal with a sweet finish of Honey “Treacle” Tart. Your living room feels like a spa when you relax in a Honey Rhassoul Clay Facial Mask, an icy Country Girl Julep within reach. 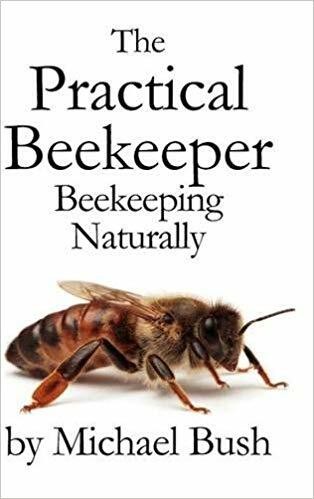 This is one of that rare beekeeping books that are the perfect guide for first-time beekeepers, aspiring apiarists, or those who want to connect with nature and the extraordinary honeybee…you! Bonus sections include an exploration of why bee colonies are dwindling and what you can do to make a real impact on the environment. Enjoy this friendly, easy to explore guide piece by piece or read it all the way through! 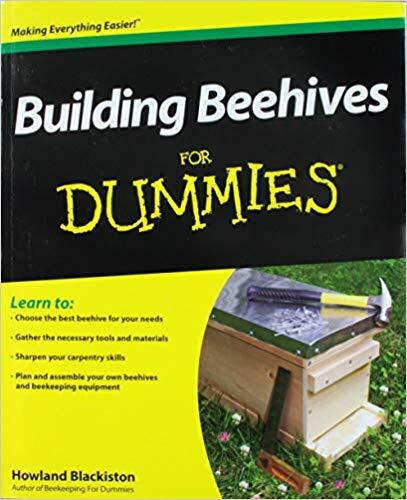 If you’d rather take a hands-on approach to build your own apiary, Building Beehives for Dummies is the book for you. Learn how to create your hives from scratch with this fun, easy to read guide with step by step instructions and fun facts about beekeeping. Even learn how to dress up your hives and build them for fun and profit! 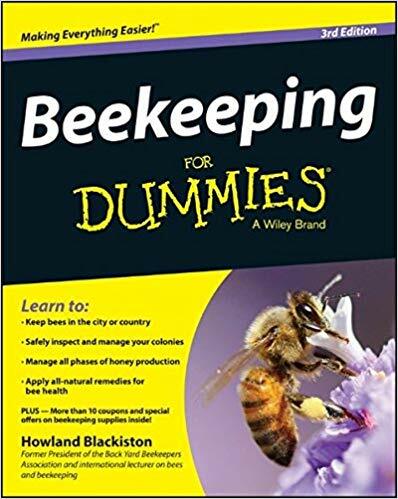 Moreover, this is one of the beekeeping books Amazon bestsellers. Over 12 traditional beehive designs, including: the Langstroth hive, the eight frame garden hive, designs for elevated hive stands, the Warre hive, screened bottom board, the Kenya top-bar hive, four-frame observation hive, hive top feeders, and more. Get started on your hobby or expand your beekeeping operation the old-fashioned way, and reap the rewards of building your own hives! Everything you need to know about the complex tradition of beekeeping in one enjoyable book. Made for gardeners, crafters, and cooks looking for a backyard passtime. 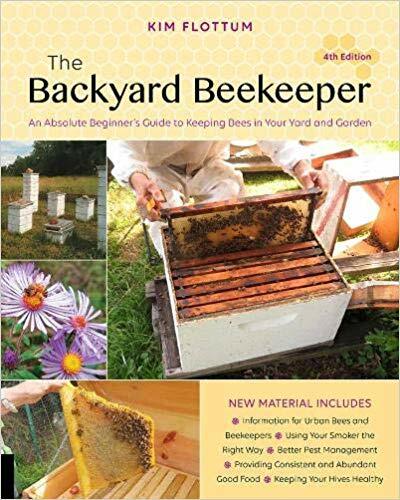 New edition that gives you more information on a green beekeeping experience. Study the best organic ways to care for your bees and keeping them healthy, productive, and happy. Includes recipes for treats, beauty treatments, and creating candles. In the late spring and early summer, as a bee colony becomes overcrowded, a third of the hive stays behind and rears a new queen, while a swarm of thousands departs with the old queen to produce a daughter colony. Seeley describes how these bees evaluate potential nest sites, advertise their discoveries to one another, engage in open deliberation, choose a final site, and navigate together–as a swirling cloud of bees–to their new home. Seeley investigates how evolution has honed the decision-making methods of honeybees over millions of years, and he considers similarities between the ways that bee swarms and primate brains process information. He concludes that what works well for bees can also work well for people: any decision-making group should consist of individuals with shared interests and mutual respect, a leader’s influence should be minimized, debate should be relied upon, diverse solutions should be sought, and the majority should be counted on for a dependable resolution. 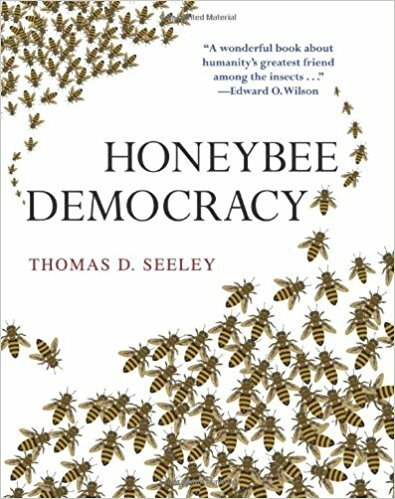 An impressive exploration of animal behavior, Honeybee Democracy shows that decision-making groups, whether honeybee or human, can be smarter than even the smartest individuals in them. 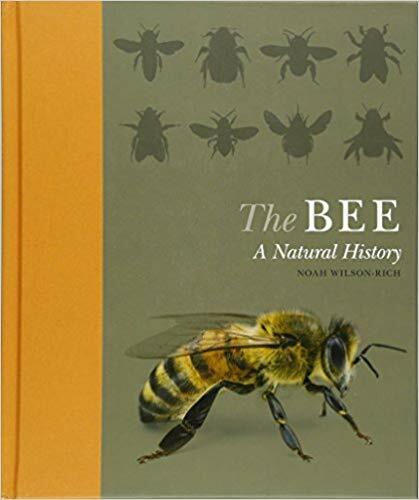 Explore over 20,000 be species in this incomparable book that details the diversity of bees. Get hands on, practical knowledge on beekeeping and the health of your hives in this enjoyable narrative form. Take a look at the human-bee relationship over time, and the importance of these crucial pollinators to our food supply. 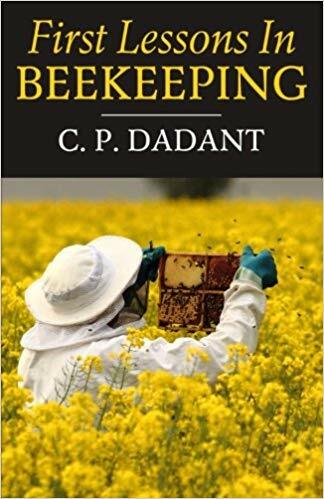 An essential book for the beekeeper and any who are concerned with the recent devastation of bee populations worldwide. You’ll enjoy reading this book and learn much more about how to run a successful apiary. This new technique does yield slightly less honey, but produce more natural beeswax than a traditional Langstroth style hive. You can keep your bees healthier and disease free in this environment with regular inspection of the hives interior. Top-bar Beekeeping gives you the complete overview of what this technique entails. These innovative hives are perfect for the at-home hobbyist who are looking for a natural low stress alternative to traditional beekeeping methods. A top-bar hive is the perfect addition for gardeners and permaculturists who are interested in maintaining healthy pollinator populations on their property. Since 1973, this book has been widely regarded as the most essential text for the beginning beekeeper. Incorporating over 100 illustrations with step by step guides, this book is a great read for any who are considering beekeeping as a hobby or want to learn more about how to maintain and grow a successful apiary. The text focuses on what you can do throughout the season to yield the best supply of honey and healthiest hives of bees. You will be presented with a variety of techniques, as well as the pros and cons, so that you can make the best decisions for your own operation. 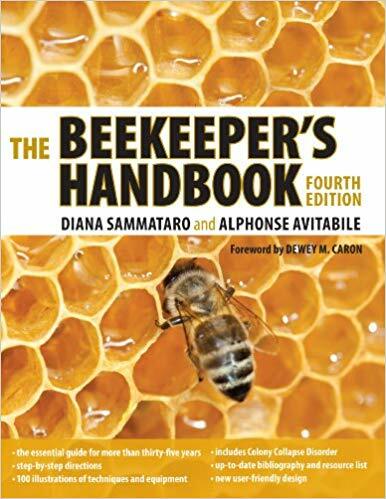 The fourth edition has been revised and edited to include new information on the most modern beekeeping techniques. Learn not only how, but why things are done a certain way, and become the most informed beekeeper on the block! Get the Beginning, Medium, and Advanced volumes in one convenient order today, and learn how to efficiently keep your hives healthy and strong. As I have already said, beekeeping is a very conservative hobby, with technologies and techniques that have been transmitted across generations of beekeepers for dozens of years. Of course, much had changed and modernized, but what mankind cannot influence is the psychology and behavior of the bees. Beekeeping pioneers described it in great detail at the beginning of the last century. Therefore, in the recommended beekeeping books, I will definitely add this one. 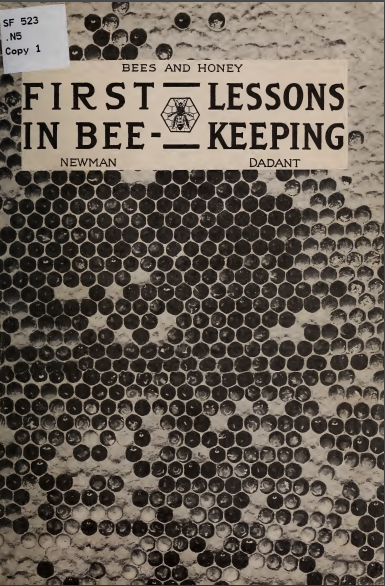 You can either download the free version of 1911, written by Thomas G. Newman and revised by C. P. Dadant, or buy a more modern book (but still in the list of classic beekeeping books) published for the first time in 1934 and reprinted in 2016. But I think old beekeeping books are deepest. 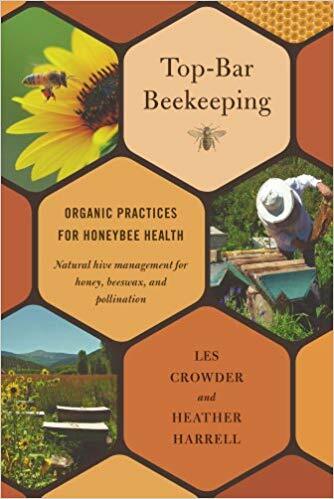 This beekeeping guide is listed top 10 recommended beekeeping books, and among it – free beekeeping book – a digital book that you can start reading immediately. “Beginning beekeeping” PDF is easy to download and easy to read, this is step by step beekeeping guide that will teach you how to start beekeeping quickly and easily. You will learn all you need to know to get started in beekeeping. From getting the bees and the hive to make your own honey. If you want to start a beehive and explore practical solutions – please, read my article How much does it cost to start beekeeping? to understand, what do you need before the start.